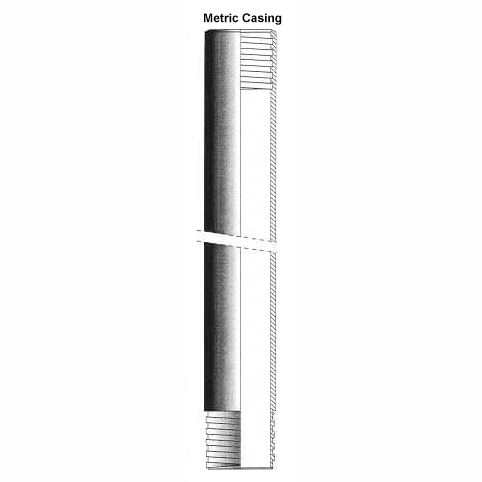 Metric series casing is manufactured from very high tensile cold drawn tube to exacting dimensional and mechanical specifications. 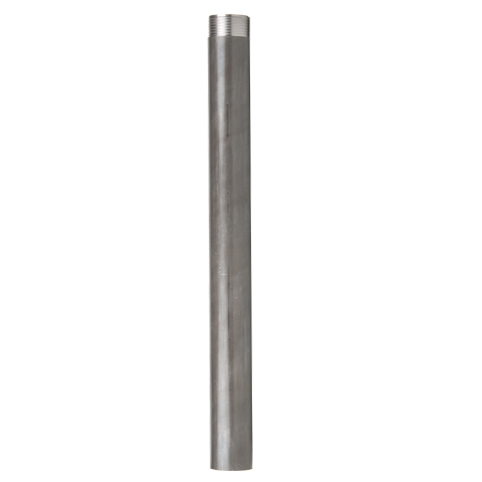 Metric series flush-jointed casing is manufactured from cold drawn steel tube made especially for Archway to the highest quality specifications to withstand heavy stresses. The tubes are much thinner and lighter than the DCDMA standard casing and form a tighter nested series. The casing is designed to be used in conjunction with the metric core barrels, TT, B, T2, T6 and T6S series. For example a T2-101 core barrel will drill a 101 mm diameter hole which can then be cased off with 98 x 89 mm casing. This casing will then accept the next core barrel in the series, the T2-86, to continue coring to depth. The casing is available in stock lengths of 0.5m, 1.0m, 1.5 m or 3.0 m lengths. 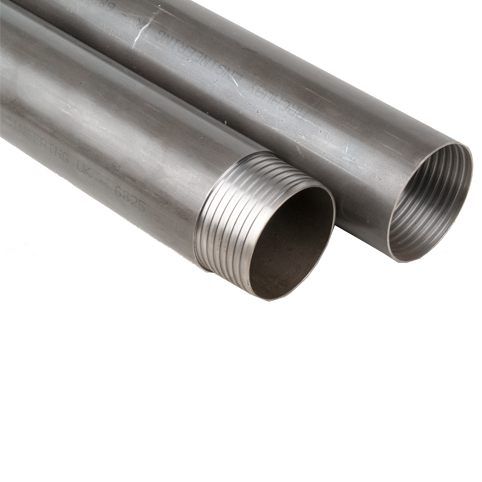 Other lengths can be manufactured to order. Tungsten carbide and diamond casing shoes are available as well as casing drive plugs with connections to suit most types of drill rods. The O.D. and I.D. dimensions are shown below. The number of the threads per inch is 4, throughout the entire series. 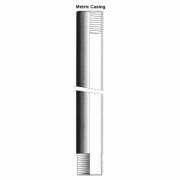 Casing with special threads can also be manufactured to suit specific applications. Refer to the table below for dimensions.